While the 2018 golf season officially kicked off with the Sentry Tournament of Champions last week, most consider the Sony open as the start of the "real" golf season due to it being the 1st glimpse at a full field with the cut line in play. The tour stays in Hawaii for the Sony Open which usually leads to a better field with most players from the Sentry sticking around to play this one but this year that does not seem to be the case as most of the top players have opted out. That being said there are still some great Top 25 players in the field for the 2018 Sony Open including Jordan Speith, Justin Thomas, Brian Harman and Marc Leishman to name a few. Make sure to check out Sony Open Course Preview as well. I know it's a real stretch to pick the highest priced guy on the slate but how can you not like Jordan this week. He had a good showing in the Sentry Championship finishing 9th and his game already seems to be rounding into form. Last year at the Sony Open, he finished 3rd and because he is so high priced I think you might get him at sneaky low ownership. Par 5 scoring is going to be really important this week as the winner will really need to attack the Par 5's on this course. That's where I look for a big bomber like Finau who is really looking good early on this season. He's played 4 events has 4 cuts made and 3 top 25's. He finished 20th at the Sony Open last year. I love Woodland's price at DK this week at $7800. His last 3 finishes at the Sony Open - 6th, 13th and 3rd. He's another big bomber who can attack the Par 5's, Woodland is a solid value pick this week and can allow to spend up to fill your other slots. Hands down the chalk course history pick has to be Charles Howell. He has made the cut 100% of the time in 16 starts here and has 7 Top 10 finishes. He has never won but is always right on the cusp, he finished 8th last year and I think he's a safe pick for your lineups. Course History Picks are chosen from our partner Golfstats.com. 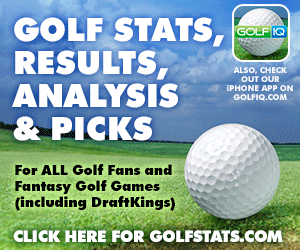 Simply the best fantasy golf stats and information online. 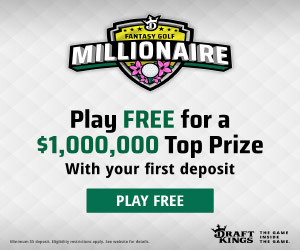 If you play fantasy golf, you simply must check out their site - Golfstats.com. I like his course history at the Sony Open including a 13th place finish last year. Over his career he has made the cut 82% of the time and has 7 Top 25's in 17 starts. So far this year he's been up and down but I think his history comes into play here and we see another Top 25 finish.